2018, a year with many projects, changes, news and consolidation comes to an end – An occasion to do something special! The traditional Christmas celebration was completed with a Party at the Hotel Ramada this year. The success of a party, in a family atmosphere, lies in its details. As a tradition, we were able to put ourselves in the Christmas spirit again while listening to the Christmas Carols from the Teofania choir of our college Adrian. Big enthusiasm was also to be seen in the faces of the German guests. Stimulating discussions, a delicious Christmas menu and a ProIT family atmosphere gave this year´s Christmas Party the special shine. We would like to thank all our colleagues for their high-quality and reliable work and our customers for the successful partnership. We are facing an equally successful year 2019! 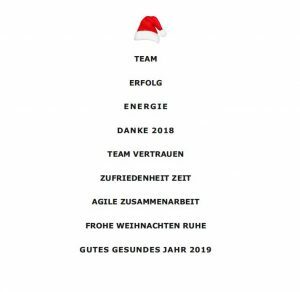 ProIT whish all partners and colleagues a happy, healthy and successful year 2019!